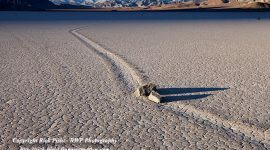 Two sailing rocks on the Racetrack Playa in Death Valley National Park appear to converge from opposite directions leaving a trail behind them. Two images of Purple Martins. 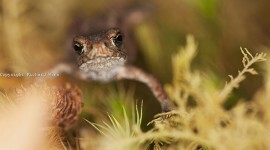 One image of a Male Purple Martin with a dragonfly in it’s beak in flight. 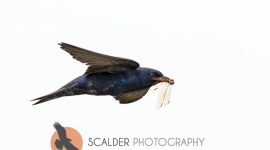 Second image of a female Purple Martin in flight.